It was time. Itchy feet urging me to figure out my next travel destination. Two years since I partook in any transnational perambulation with the intention of adventure and the eternal search for place. A colleague at work suggested one of the islands. A short break in the sun, away from the Wellington winter. The Pacific Islands have never been on my radar as a destination. The sun and sand and sleek, tanned, non-bathing bodies lounging at beach resorts disconnected from the locals is not my idea of a holiday. But you don’t have to do just that, my colleague said. Drive around the islands, visit the markets, go to church. Yeah, I never thought about that. Samoa in my backyard and I did not see it! So it was. Backpacking 701. Cheap, economical and keeping me on my toes. There was a band playing at Faleolo airport as we walked out from immigration; a bunch of dudes in lavalavas strumming guitars at 3 a.m. Welcome to Samoa. Talofa lava. The first ferry to from Mulifanuana Wharf to Salelologa, Savaii at 6 a.m. carries cargo. Passengers huddle around the sides, shielding themselves from the sun, watching the magical dawn over the Pacific Ocean. Savaii is the bigger of the two main Samoan islands but less developed. Villages line the coast from top to bottom. I stayed at Jane’s Beach Fales, swimming in the Pacific Ocean and gazing out at the horizon enjoying the downtime. There was nothing else to do except church on Sunday. I have never been to mass and it was an interesting experience. The service was in Samoan and English. When the priest spoke about giving, he looked at all of us, the visitors, and spoke only in English. Geddit 🙂 After the service he individually thanked us for attending mass. Then, true story this, as narrated by Rusty from Glenorchy, the priest saluted Heil Hitler to an elderly German couple! They took it well Rusty said. Samoa has a history of German settlement before the World Wars but I am sure it was still not kosher eh? Okay, bad joke. I took a taxi guide (Ropeti Paulo, phone 7254413) around Savaii and the state of the villages was interesting. They get poorer as one goes northwards. Lots of big churches every two villages and double the poverty. God seems to be taking a lot here, not giving. My guide talked about tsunamis, cyclones and bad weather getting worse. What he meant in his limited way I suppose was the reality of global warming. I also suppose few big economies would care if these Pacific Islands were annihilated. Just the other day a New Zealand court rejected a bid by a Kiribat man seeking asylum here. The first ‘climate change refugee’ in the world. Three days later I was in Upolu, in the capital Apia. The bus ride from the wharf to the city was just like being on a Maharasthra State Transport (ST or eshtee as the locals call it) except that the bus was smaller and very colourful. Apia is a mixture of the rural and the urban with some gorgeous architecture thrown in. I stayed downtown at Tatiana’s Motel close to the bus depot, the flea market and shopping. Apart from generally walking around and absorbing the goings-on, as I love to do, there were two places I wanted to visit. The other place I wanted to see was the cigarette factory that New Zealand built. This was after ‘smoking is injurious to health’ became a public health issue globally (as a Wellington doctor working in the public sector told me). Samoans smoke a lot; everyone smokes, from old men and women to young people. There are a few hoardings across the islands that warn about the harmful effects of smoking but few pay heed. 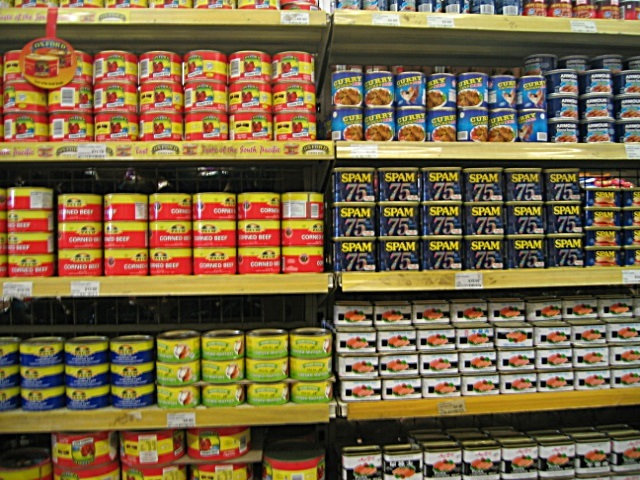 New Zealand already exports fatty meat leftovers to Samoa, America feeds Samoans Spam. Western colonial powers do have a lot to answer for apart from invading countries and creating empires. Anyway, I went hunting for the cigarette factory because I was curious. Very inconspicuous it was, behind the beer factory, apparently making Rothman’s cigarettes. The cigarette factory in Apia. As close as I could get to it. I loved Samoa. The people are lovely and warm. I loved the sound of the water, its changing nature and colour. It is definitely on my list of places to visit again. Like China, Hong Kong, Berlin, Sikkim and Dharamsala. I love the anonymity of travel; the mere act of wandering in search of belonging but not quite. I see myself as an integral part of humanity rather than from a specific place. Samoans would ask me, where are you from? One taxi driver called me palagi (pronounced paa-laa-ngi, white in Samoan), another asked if I was half Samoan and half Maori and a third if I was a Latina or Spanish. Only one guessed my origins. Of course my tattoos confuse people even more. Can’t wait for my next expedition. 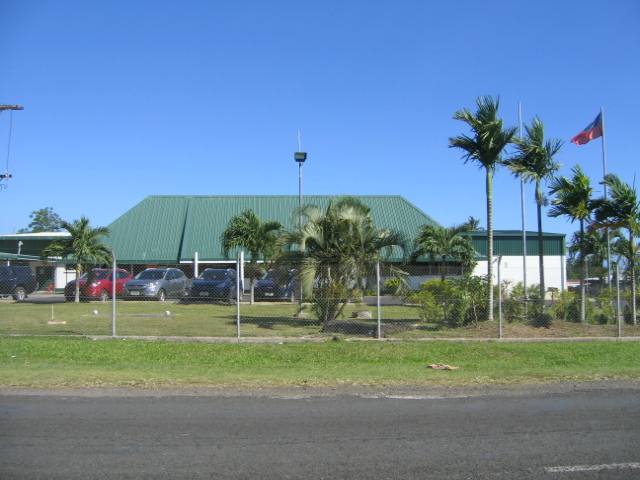 This entry was posted in Culture, Sapna's travels and tagged multiculturalism, Samoa by drsapna. Bookmark the permalink.